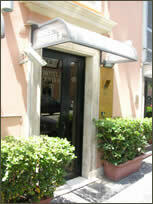 Welcome to Hotel Center, three hotels in one in the throbbing heart of the city of Rome. Hotel Center is three identical hotels, named Center 1, Center 2 and Center 3, all within less than half a mile of each other and all offering the same great value for money budget Rome accommodation. With 124 rooms between them, we’re sure we’ll be able to accommodate you, but you can find out in a few seconds by visiting our Live Online Booking facility, which gives availability at any moment. For value for money, this low cost hotel is hard to beat. Offering a modest yet sufficient range of services and facilities alongside the security and cleanliness essential for a comfortable holiday, we believe we provide you with all you need to enjoy this fantastic city to the max. Bookings carry no obligation and may be cancelled up to 48 hours before your arrival at no cost whatsoever, we however, guarantee your room instantly, online, in real-time, meaning there’s no need to wait for us to get back to you as with most hotels in Italy.